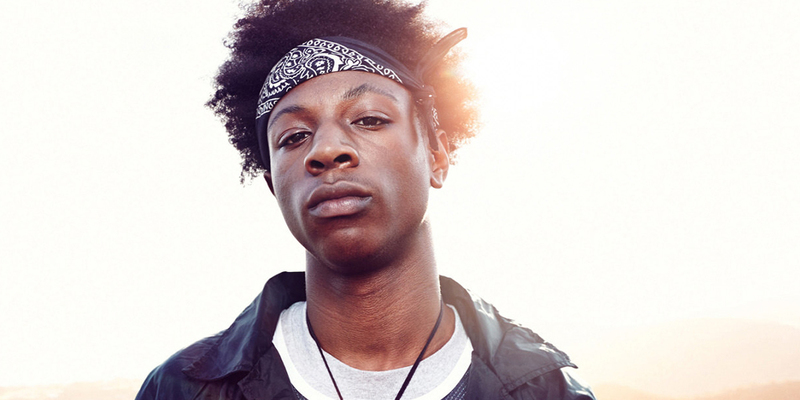 Joey Badass turns 23 on January 20 so it's only right he treats himself and fans to an early birthday gift. For 'King To A God' the young New York rapper links up with fellow Pro Era member Dessy Hinds. Listen to both MCs share boastful rhymes below. During his recent visit to Australia, the Brooklyn rapper took part in Triple J's Like A Version series, where he performed a cover of Prince's "When Doves Cry," from his 1984 album Purple Rain. It autodialing turned out nice. You can watch the performance below. He also performed a live version of his "All-Amerikkan Badass" track Temptation.